No wires or Bluetooth, no electronics or power requirements, but it works remarkably well. Plus it looks amazing, like an old-time radio. 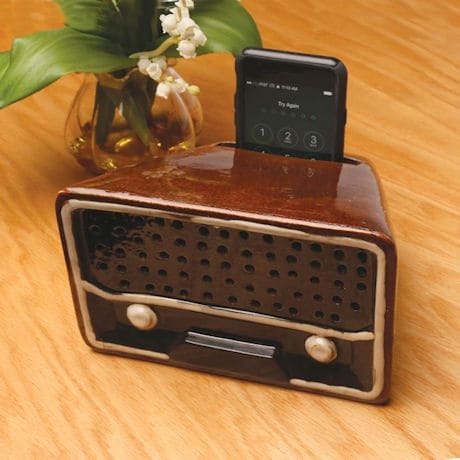 Stand your smartphone in the slot on top and the ceramic "speaker" shapes and amplifies the sound. Handmade and hand-painted, decorative and practical on a desk or bedside table. 8"w x 5"h x 6½"d.